Jesus worked by faith while He lived on the earth. And guess what? He still works by faith today! Today on Believer’s Voice of Victory, Kenneth Copeland teaches why faith is necessary for you to receive anything from Jesus— forgiveness, deliverance and healing. Tune in to learn why faith is so important and how your faith makes you whole. Today is your day of salvation and healing! On this episode of Believer’s Voice of Victory, Kenneth Copeland teaches that through Jesus, the living Word of God, you have access to salvation, deliverance, healing and more. By Jesus’ Name, blood, authority and WORD, you can accomplish all that He has promised you! Ready to receive your miracle? 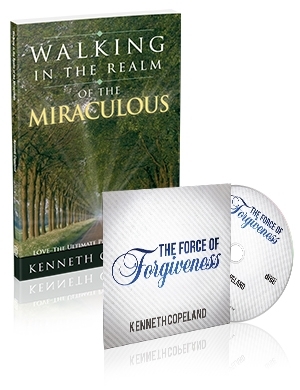 In this episode of Believer’s Voice of Victory, Kenneth Copeland teaches the receiving formula for your miracle according to Proverbs 4:20. There is nothing—no problem, no calamity, no situation—that faith in God’s WORD won’t overcome. Learn how to take God’s WORD as medicine and receive your miracle!